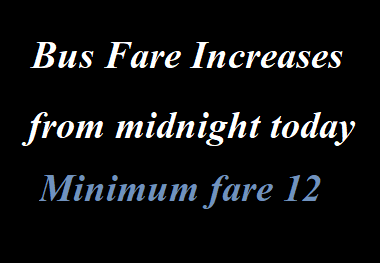 Bus Fair will be increased from midnight today. Minimum fare is 12. Here we have Shown revised bus fares.